Giridhar said all the payments were only through RGTS and no cash payment was entertained. Chennai: The Muhuthaam Event Management Pvt. Ltd which was granted lease in respect of the two multi purpose halls, owned by the Pachaiyappas Trust, has informed the Madras high court that all the applications questioning the grant of lease to it are not at all maintainable. Senior counsel A.L. Somayaji, appearing for Muhuthaam Event Management, made his submission when a batch of applications arising out of suits filed by various persons for and against the Pachaiyappas Trust Board came up for hearing before Justice R.Suresh Kumar on Monday. He said his objection is to the maintainability of the applications arising out of a suit. In these applications, the relief sought for was to recover the property covered under the lease deed, he added. Citing a judgment of the Supreme Court, Senior counsel Somayaji said the present relief to recover the property from his client was not maintainable. Pursuant to a tender notification, the Muhuthaam Event Management gave its offer. Since it was the highest bid, it was accepted by the Pachaiyappas trust by passing a resolution and lease was granted to it for 20 years for rent with a condition to enhance the rent by 15 per cent every 5 years, he added. He said unless a suit was filed under section 92 of C.P.C to declare the lease granted to it as null and void or to recover the possession of the property, these applications were not at all maintainable. Clarifying the company’s address issue, senior counsel Somayaji said at the time of registration of the company, the company’s original address in Kolathur was given. Subsequently, after taking the property on lease, the address was changed to Anna Arangam address on Gurusamy road. The applicants must have downloaded the address after the company was incorporated, he added. He said an affidavit has been filed giving details about the rent collected from the Amma Arangam and Anna Arangam, which was supported by statement of accounts, profit and loss account and balance sheet. He sought dismissal of the applications. 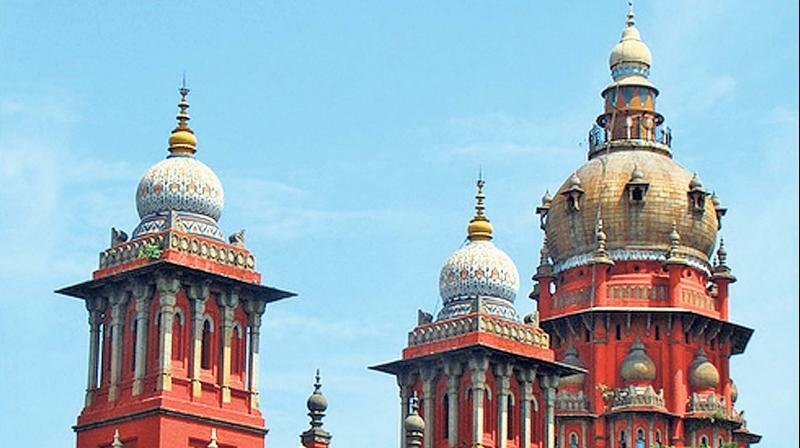 Producing the original books of accounts, as sought for by the court, advocate S.Giridhar, counsel for Muhuthaam Event Management submitted that the rent being collected for Anna Arangam was Rs 3 lakh per day and for Amma Arangam was Rs 4 lakh per day. If the persons booking the halls want A/C, an additional charge of Rs 10,000 per hour has to be paid, he added. Giridhar said all the payments were only through RGTS and no cash payment was entertained. The Kalyana Mandapams in the surrounding areas were also collecting the same rent, he added. Replying to the question of maintainability of the applications, senior counsel K.Doraisamy submitted that since it was a trust property, all the persons interested in it can file any applications and they were maintainable. There was no need to file a separate suit. The object of the trust was to promote education. But, now the funds are diverted. Though the resolution of the trust says construction of an auditorium for educational purpose, it was converted for commercial use and it causes nuisance to the students, he added. Since the arguments were not concluded, the judge posted to tomorrow further hearing of the case, enabling the interim administrator and other applicants to make their submissions.